LAKELAND — A Lakeland-based air charter says it has an alternative to the seven-hour slog through Southeast Florida and U.S. 1 traffic for visitors looking to get a taste of Key West. Starting Memorial Day weekend, for $199 for Florida residents and $229 for others, Lakeland-based Legacy Flights will be offering roundtrip day trips to Key West from Lakeland Linder Regional Airport. The company is calling them “daycations,” and the Key West flight is the first of similar flights the growing company plans to offer in the future, company spokesman Mitch Pizik said, including Bimini, Bahamas; Gatlinburg, Tennessee; and Savannah, Georgia. The company is likely looking toward siphoning some visitors to Orlando and Tampa who would like the chance to see Key West but maybe weren’t as eager to give up several days of their family Disney vacation to do it. Now, passengers will have to board the return flight the day they left, but as the program develops, passengers will be able to stay overnight, Pizik said. Those participating in the first flight leaving Lakeland at 8 a.m. Saturday, May 26, and arriving back 13 hours later, can fly roundtrip for $149. From then on, the charter service will fly scheduled flights three times a weekend, leaving Lakeland at 8 a.m. and 10:30 a.m. Saturdays, and 8 a.m. Sundays, and arriving back that evening. 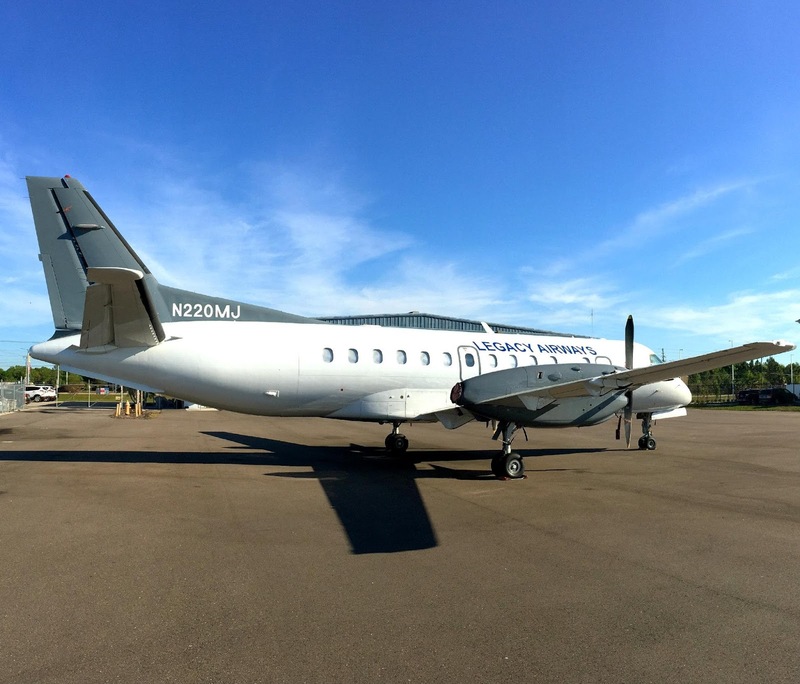 Legacy’s mainstay has been charters onboard its fleet of 30-passenger, turboprop Saab 340B aircraft: casino charters, sports teams, corporate retreats and church groups, as examples. This new service is an expansion for the company, which is adding another Saab to its fleet soon and a sixth by the end of the year. Technically, Legacy Flights is hiring Legacy Airways, the charter operator, to operate the charter. Legacy Airways is the name that appears on the aircrafts’ livery. Lakeland Linder Director Gene Conrad said it was an exciting addition to the services being offered by the airport tenant.